Suited to wide areas and areas where wind is an issue the heavy duty side channel awning comes into its own. Locking pins are fixed into the side channels and the fabric is then tensioned for greater stability in high winds. We can supply our heavy duty side channel awnings in a variety of materials and colours to suit your situation. Side Channel Awnings skins can be made from long lasting colour fast polyester/nylon blends, acrylic or canvas fabrics in either water resistant or water repellent grades. 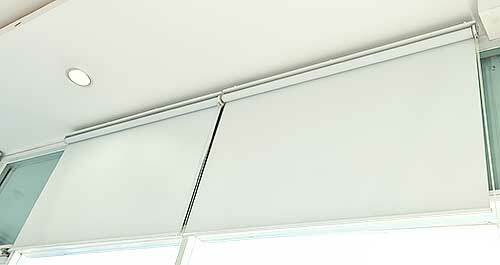 Heavy duty side channel awnings can either be controlled manually via gearbox or by electric motor. Options exist for motorised control including remotes and wind and sun sensors. The benefits of fitting heavy duty side channel awnings include cutting down the heat in large or windy spaces, reducing household bills, reducing fading on furniture and carpets, allowing windows to stay open in rainy weather as well as increasing privacy.